The University of Wisconsin-Superior has been named among the 2019 Best Online Graduate Education Programs by U.S. News & World Report. For the 2019 Best Online Graduate Education Program distinctions, schools were ranked on engagement, services and technologies, expert opinion, student excellence, and faculty credentials and training. 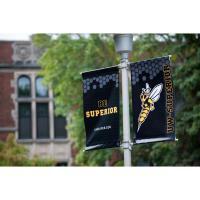 UW-Superior offers online graduate degrees in educational instruction, educational administration, educational administration – superintendent, and special education. Additional online graduate degrees are offered in data science, health and wellness management, and sustainable management. U.S. News & World Report also ranked UW-Superior the Top Public School among Regional Colleges Midwest, fifth among Best Colleges for Veterans and 35th among Best Value Schools and Regional Colleges Midwest rankings. To see the complete rankings, visit usnews.com/online.